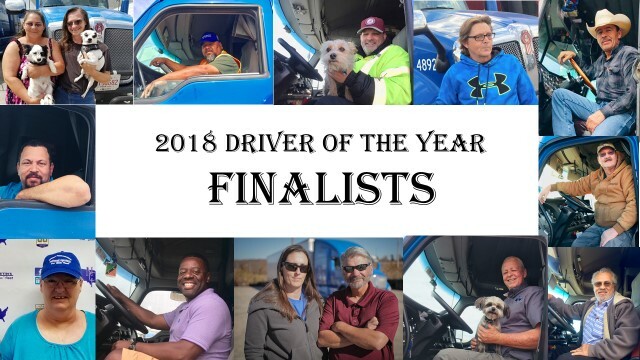 Irving, TX – National Carriers, Inc, announces finalists for 2018 Driver of the Year. They are: Clark Journagan, Arturo Lopez-Gallardo, Cleavon Ward, Ina Marinelli, Jay Heater, Jose Aragon, Miguel Pena, Phillip Starosta, Raul Davila, Tommy McMahon along with team drivers Ronnie Wallett and Mary Reddick and Jody Wilcox and Angel Knopp. The annual NCI Driver of the Year banquet held at the Bob Duncan Center in Arlington, TX. The winner will receive many gifts and a check for $10,000.